We are full service Online Accounting Firm based in Dubai, United Arab Emirates, primarily focused on Outsourced Online Accounting Services. Our aim is to make our Client's accounting information system simple, easy, and efficient, - all live and sync online. We are committed to deliver cost effective and reliable services from a team of qualified and experienced accountants and Xero Advisers. A CPA and Lawyer from the Philippines currently based in Dubai. Founded LiveSync Accounting with his wife, providing cloud accounting services to small businesses in Dubai and in the Middle East. Clients of LiveSync Accounting connect to a range of banks via Xero. LiveSync Accounting specialises in working with some of those banks; they can help with setting up bank feeds, and are knowledgeable about accessing bank loans and streamlining payments through Xero. LiveSync Accounting works with businesses across a range of industries. They specialise in helping to choose apps that integrate with Xero to boost business performance for some of those industries. 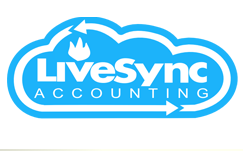 LiveSync Accounting serves clients who use 14 different apps that connect and integrate with Xero. Xero is beautiful online accounting software for smaller businesses. LiveSync Accounting can help make your switch as smooth as possible.